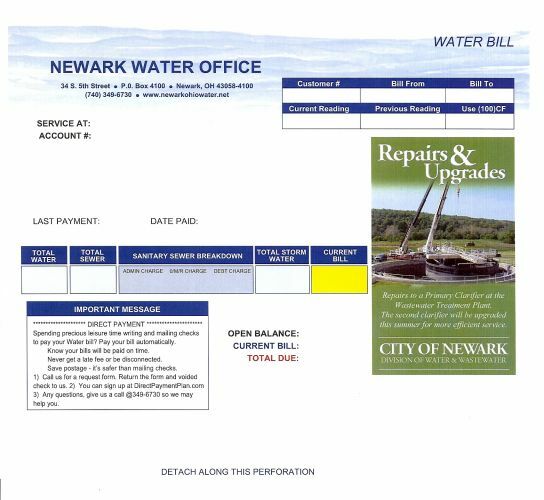 Welcome to the City of Newark, Division of Water and Wastewater. The Mission of the Division of Water and Wastewater is to provide essential services that protect the public health, preserve the environment, and support sustainable growth of the community.. The Division of Water serves more than 47,000 customers with over 18,300 connections. We are committed to delivering the safest and finest quality drinking water to your tap every day. We are also responsible for the maintenance of the City’s water distribution system, including roughly 190 miles of water main, hundreds of valves and fire hydrants as well as thousands of water meters. The Division of Wastewater is responsible for treating and returning environmentally clean, safe water back to the Licking River. Additionally, the Division is responsible for maintaining the collection system, which consists of approximately 238 miles of sanitary and combined sewers, 24 lift stations and over 5000 manhole structures. The Division is also responsible for monitoring discharges into the system from industrial and commercial users for compliance with federal regulations as well as local ordinances. Have you ever wondered what the charges on your monthly bill are for? Your bill pays for a variety of different things. This video describes what your bill pays for.